Chinese police are sporting high-tech sunglasses that can spot suspects in a crowded train station, the newest use of facial recognition technology that has drawn concerns among human rights groups. 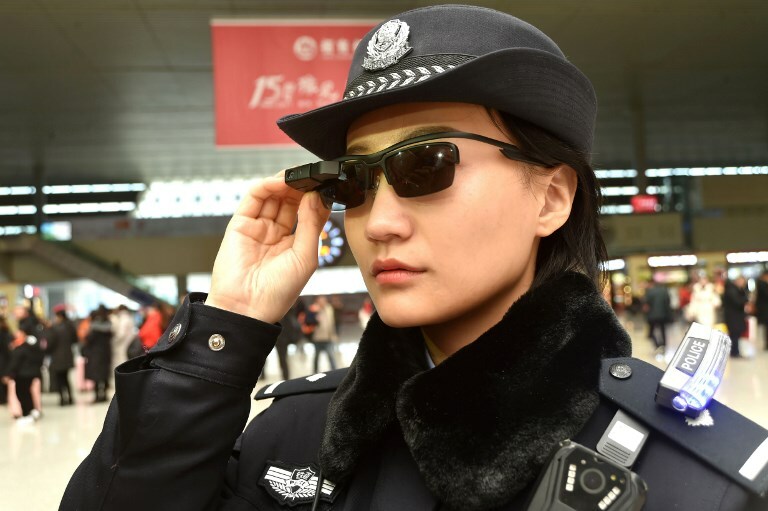 In a scene reminiscent of the dystopian sci-fi television show “Black Mirror”, officers in the central city of Zhengzhou are wearing the digital shades amid the crush of travellers heading home during Chinese New Year, the busiest time for the country’s transit system. This photo taken on February 5, 2018 shows a police officer wearing a pair of smartglasses with a facial recognition system at Zhengzhou East Railway Station in Zhengzhou in China’s central Henan province. Photo: AFP/Stringer. So far, the technology has allowed police to nab seven suspects accused of crimes ranging from human trafficking to hit and runs, as well as another 26 people who were using fake IDs, according to the state-owned People’s Daily, quoting the city’s police department. The system is part of China’s efforts to build a digital surveillance system able to use a variety of biometric data — from photos and iris scans to fingerprints — to keep close tabs on the movements of the entire population. The rapid development of the technology has triggered a demand for commercial applications of the technology as well, with gyms, restaurants and even public toilets getting in on the facial recognition game. The special glasses are being used by four officers positioned at the entrances to Zhengzhou’s east station, according to the People’s Daily. The glasses have a camera connected to a smartphone-like device that allows the officers to take mugshots of suspicious individuals and compare them to a database back at headquarters. The app brings up the suspect’s vital information, including name, ethnicity, gender and address. It also tells officers whether the possible perps are on the run from the law, the address of the hotel where they are staying and information related to their internet usage. Experts say China is racing ahead of Western countries in deploying facial scanners owing to its comparatively lax privacy laws and because Chinese are used to having their pictures, fingerprints and other personal details taken. Banks are beginning to use facial recognition instead of cards at cash machines while the travel and leisure industry also sees opportunities — China Southern Airlines this year began doing away with boarding passes in favour of the scheme. But the programmes have drawn fierce criticism from human rights organisations and privacy advocates, who are concerned by their potential for abuse. What do Chinese internet users think of Google’s ‘Dragonfly’ project? China’s big upcoming break-up: One system, three countries? 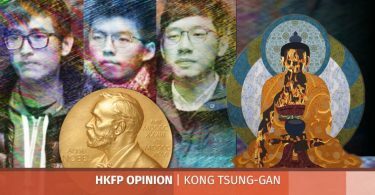 Hey Fat Pang – shut up, eat your egg-tarts, and go home! 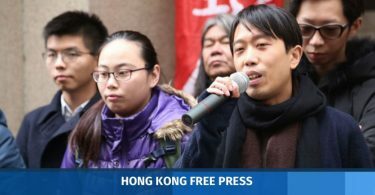 How long before Macau’s ‘Article 23’ security law makes it to Hong Kong?